Temperature is the relative warmth or coolness of a color. Let’s take a look at the colors on the wheel below. Yellow or any color with yellow as a predominant component is considered warm. Any blue or color predominantly blue is considered cool. Red looks like it’s in the middle of the temperature scale, and its temperature is relative to the colors next to it. It’s cooler than yellow, but warmer than blue. 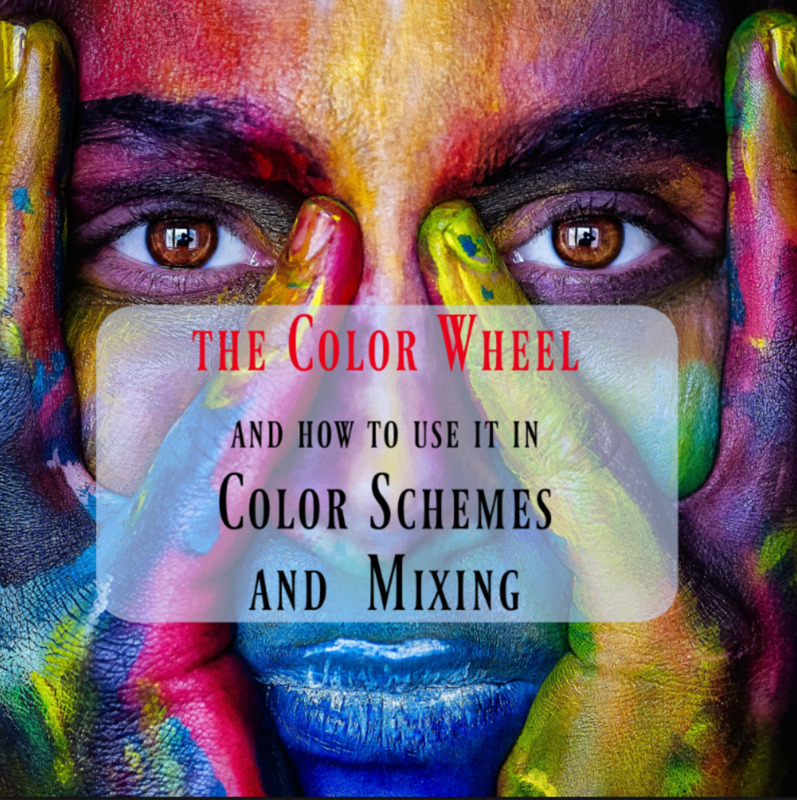 When you are determining comparative color temperatures, keep in mind where they would place on the color wheel, and their relative proximity to yellow or blue. 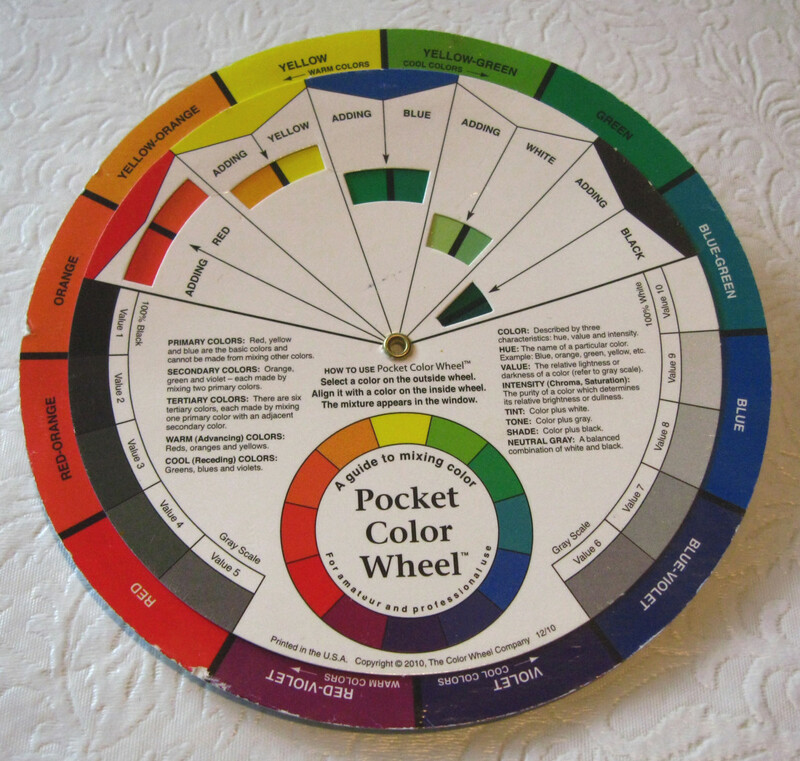 The colors closest to yellow on the color wheel are warmer. That said, it's important to remember that warmth or coolness of a hue is not absolute, but it's strongly related to what colors are around it. 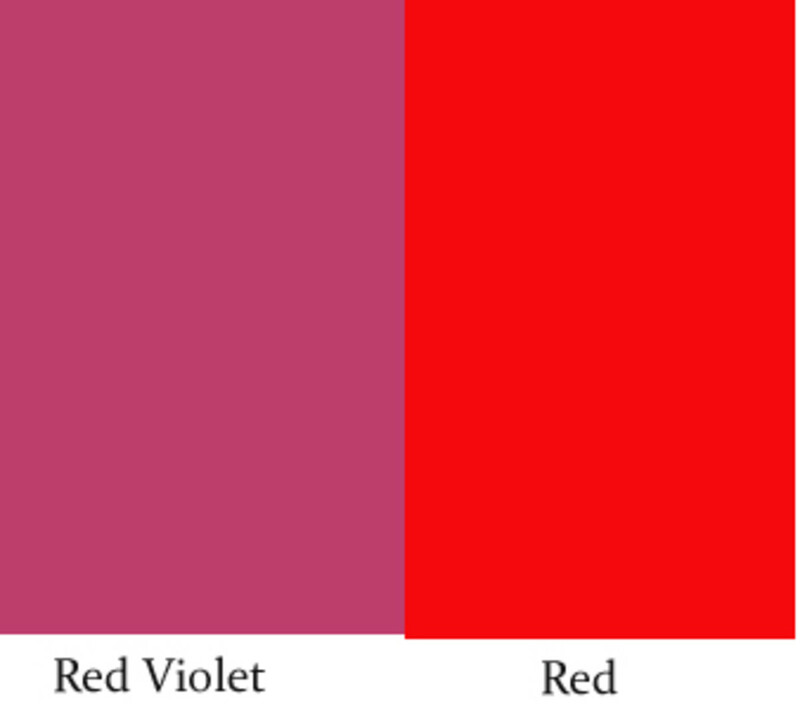 When you paint red-violet next to red, then the red-violet appears cooler, because it contains some blue. 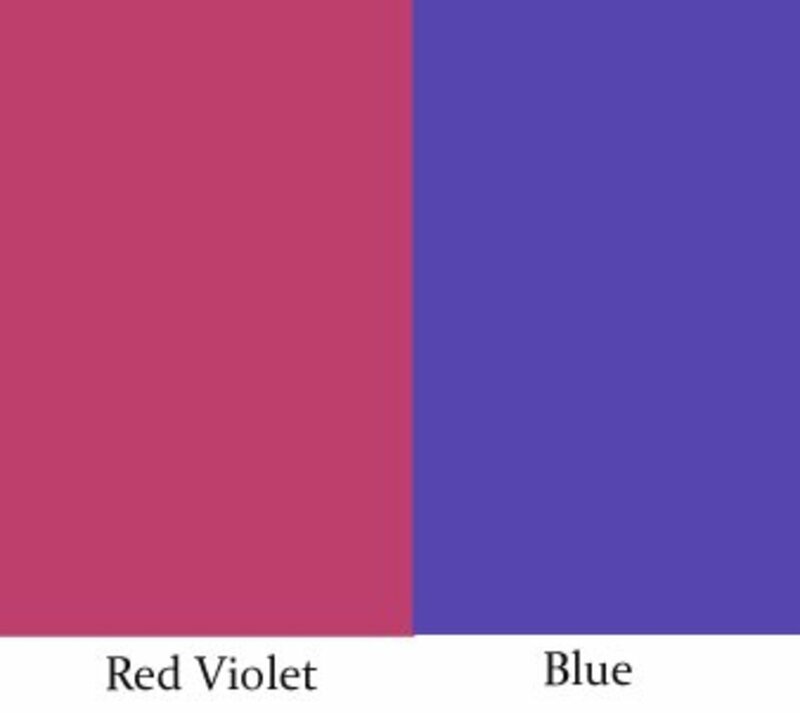 However, when red-violet is placed next to blue, then the red-violet is perceived as a warm color. In other words, when in doubt, you can determine if a color is warmer or cooler by asking yourself if it has more yellow or more blue in it. 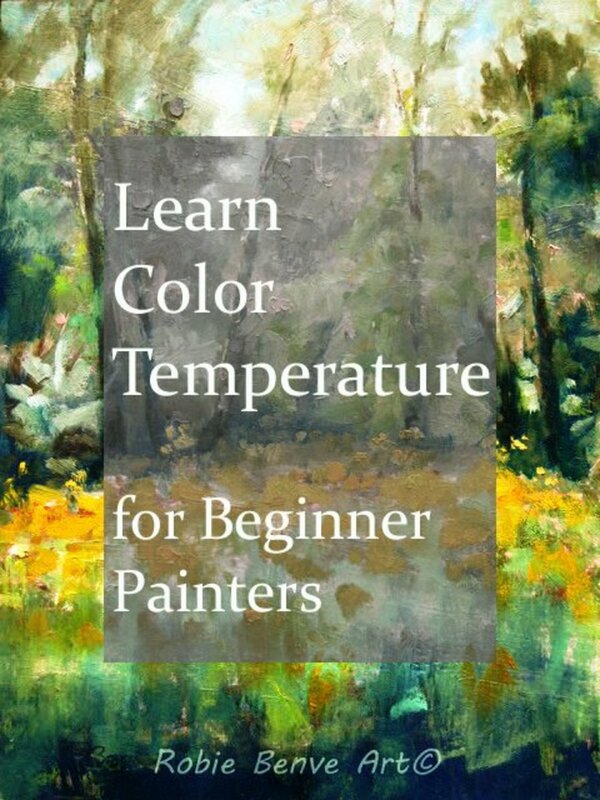 For beginner painters, understanding color temperature and learning how to control the temperature of the colors you mix can improve dramatically the quality of the paintings. 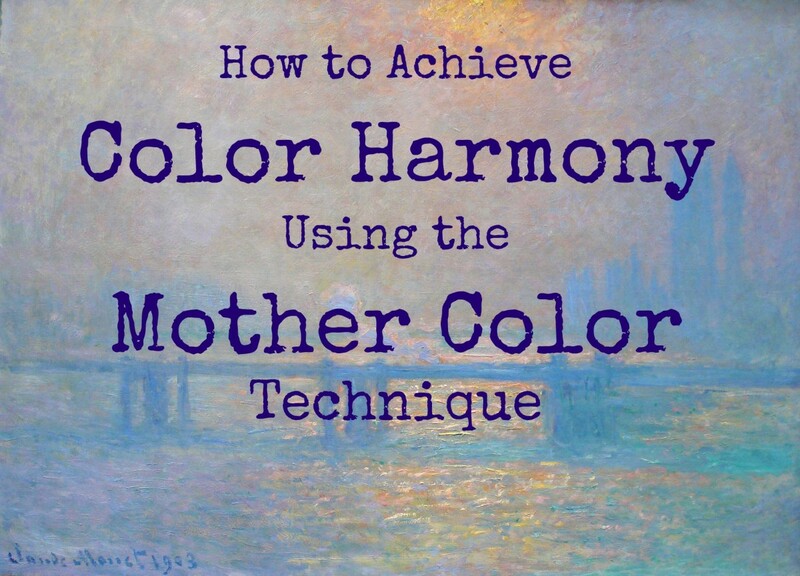 "Learning how to control the subtleties of color temperature can do wonders for your paintings." 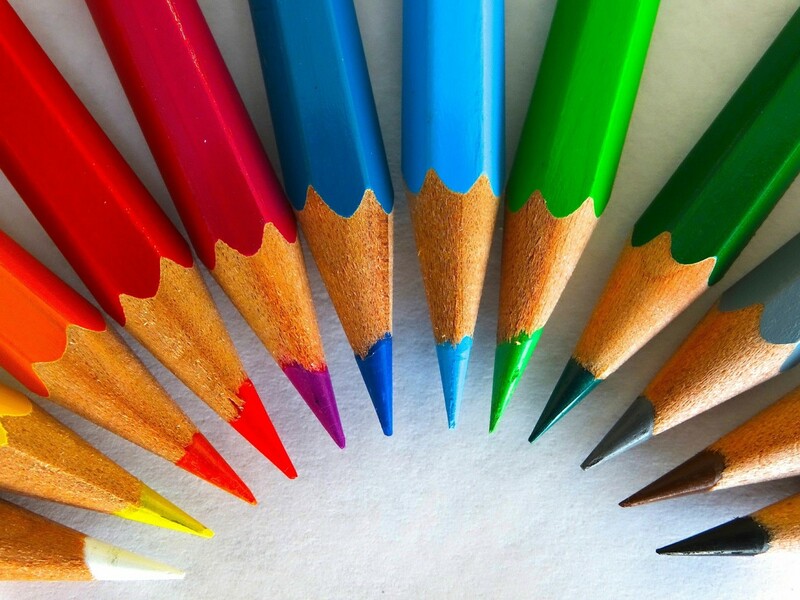 Each color, depending on its temperature, can be associated with a mood. 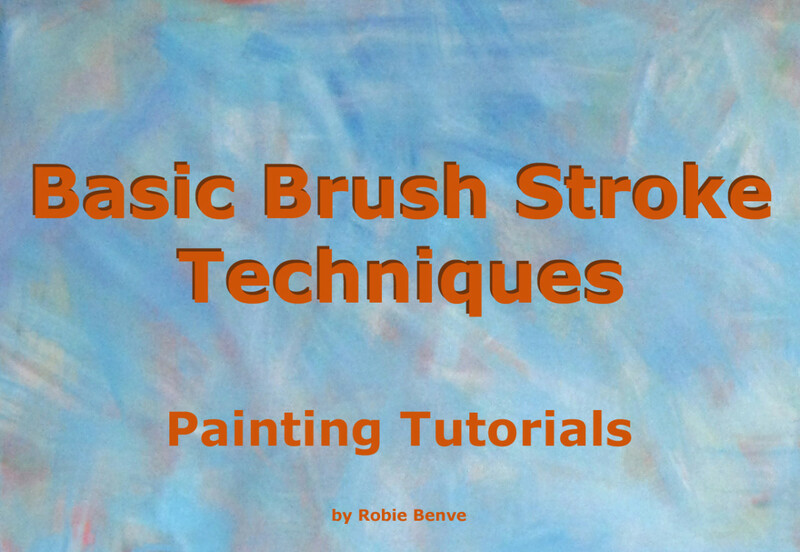 You can learn to manipulate temperature and trigger certain emotions associated with your painting in a way that allows you to infuse your artwork with a very specific feeling or perception. Warm colors are generally considered exciting and energizing, but also homely and earthy. A painting that is predominantly warm shines with glow and radiance. Cool paintings can be more calming, soothing, and meditative. At the same time a cool color scheme can convey a sense of coolness and stillness. In some cases cool colors can be associated with a sad feeling. Warm Colors Advance and Cool Colors Recede. In painting, we are facing the tough challenge of trying to represent a 3D scene on a 2D surface. 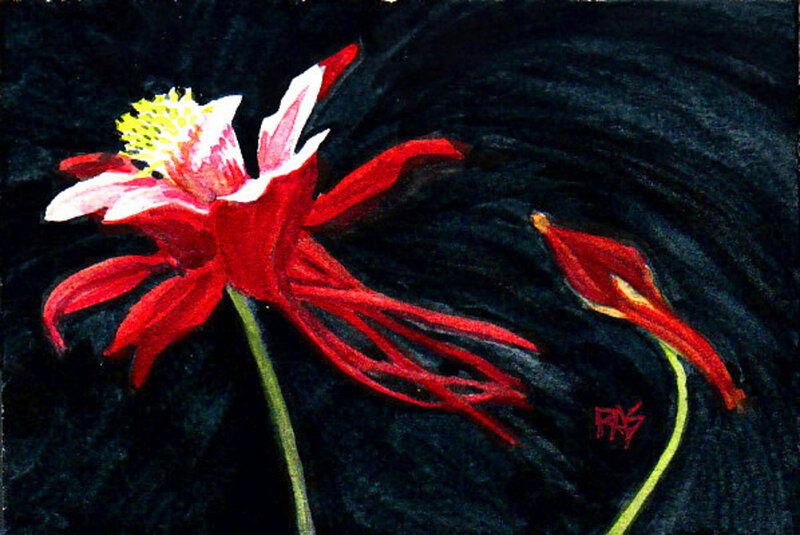 For a successful representation of depth in your painting, consider that warm colors advance and cool colors recede. This is a very important understanding when you are painting distance. 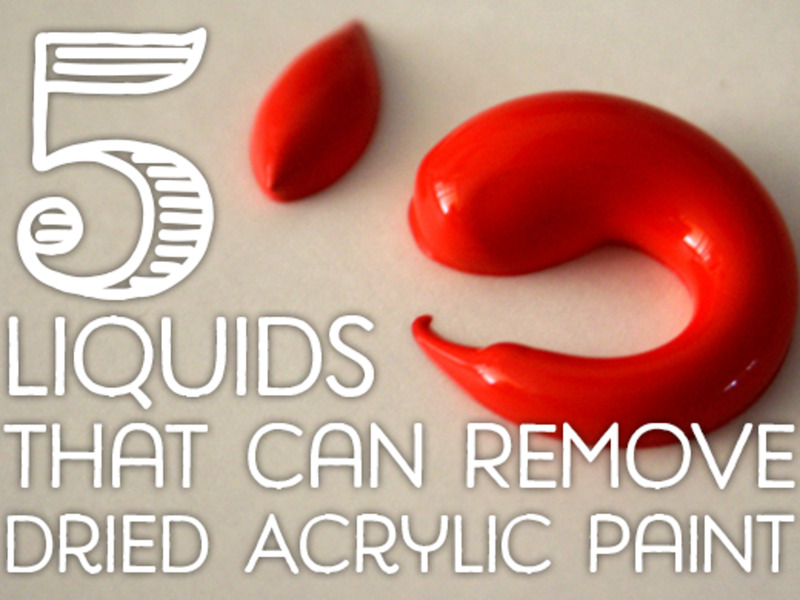 This means that everything painted in yellow or very warm colors will tend to come forward in your painting. If you paint the background yellow it will compete with the foreground and fight to come forward, pushing back any cooler objects in front of it. Sometimes things at the horizon are really yellow and it’s tricky to make a decision on how to render them in a way that they do fall back and look far away. Apply these three rules to your distant objects, and even yellows at the horizon will read right to the viewer, because even being yellow, they’ll be a cooler, duller, and lighter yellow than closer objects. The rule of thumb to dull a color is to add a bit of its complementary color. 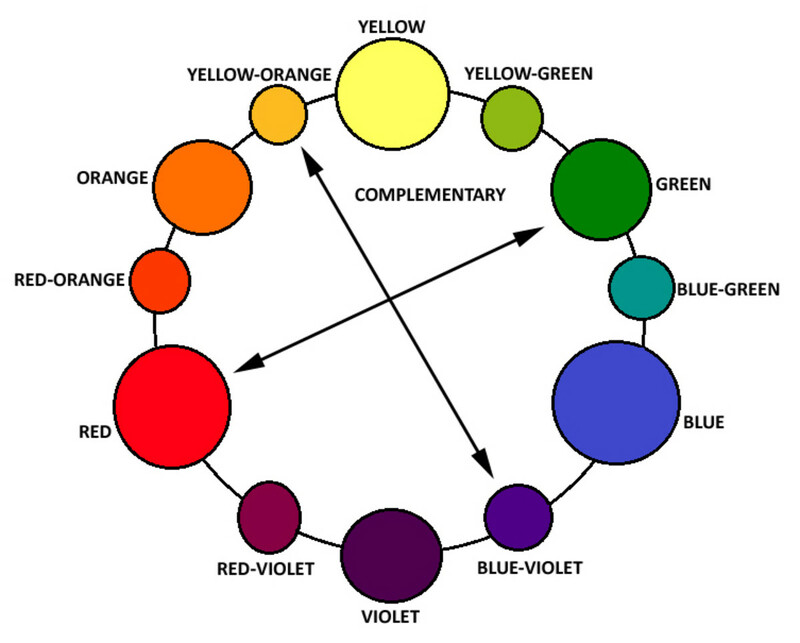 To know which colors are complementary, look at the color wheel: they are opposite to each other. Below is a table listing for each color the complementary that dulls it. Note: Some colors are particularly opaque and strong, and just a little bit added can change drastically your color mix. Always start by adding a tiny amount of the complementary, mixing, and evaluating if you need to add more. Understanding color temperature and learning how to control it while mixing colors is not easy. It takes lots of practice and many mistakes, but once mastered it can make a huge difference in the painting results, adding a professional and knowledgeable look to your work. I am learning the seven contrasts of color. What is your opinion about the main difference in contrast of temperature? Should it be warm vs. cool hue, or bright vs. dull or light vs dark? Thanks in advance. Those that you mentioned are all great ways to create contrast. Depending on the subject matter and on the feel you are trying to achieve, you can use each and all of them. When possible, I like to include the most variety in effects, which keeps the painting interesting. 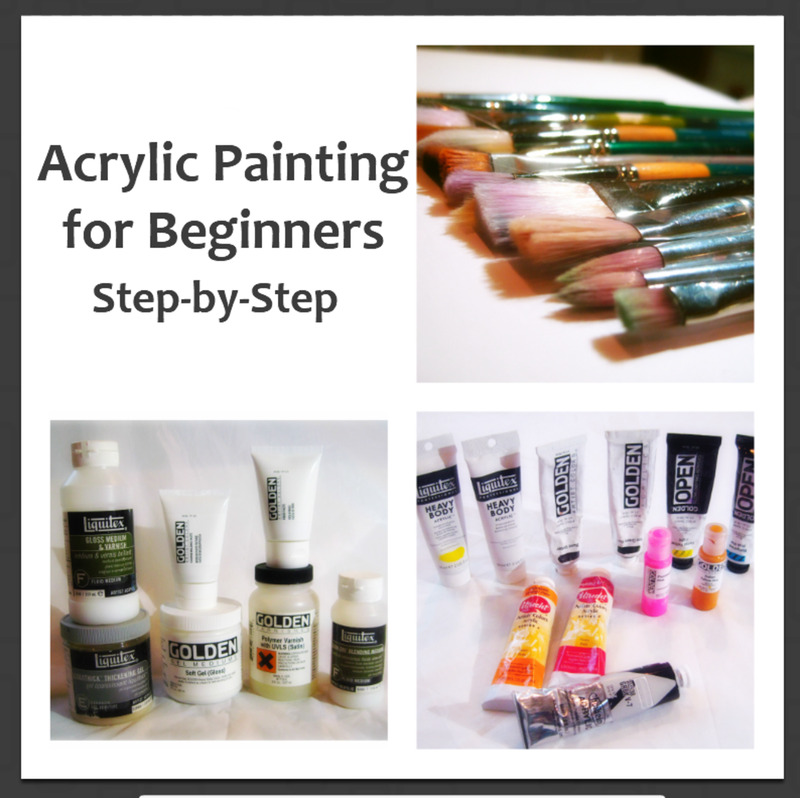 All three are great ways to create variety and visual interest in the painting, and they can be used on the same piece. I usually try to create the highest contrast right at the focal point; like the darkest dark near the lightest light. Also, I like to have a bright spot at the focal point, when it works. I also learned that to have a lot of bright colors in a painting (which I love), you need to use dull (or boring) colors next to them, to help them pop without a fight. One more thing I learned is that all of these contrasting colors work better when used to unify bigger shapes. For example, creating cool/warm contrast between a big cool shadow shape and a warm sunny shape, but with color variation within each mass. What effects on color temperatures have on public spaces? The response to color in public spaces is a very personal experience. To me, it brings joy and smiles. I'm thinking of the colorful homes of Burano, Italy, or the colored mosaic stairs in San Francisco or in some favelas in Brasil. Color is an expression of vitality, creativity, and joy. il existe une différence entre les couleurs soustractives et additives! Hi Kathy, those are that you mentioned are all great ways to create contrast. 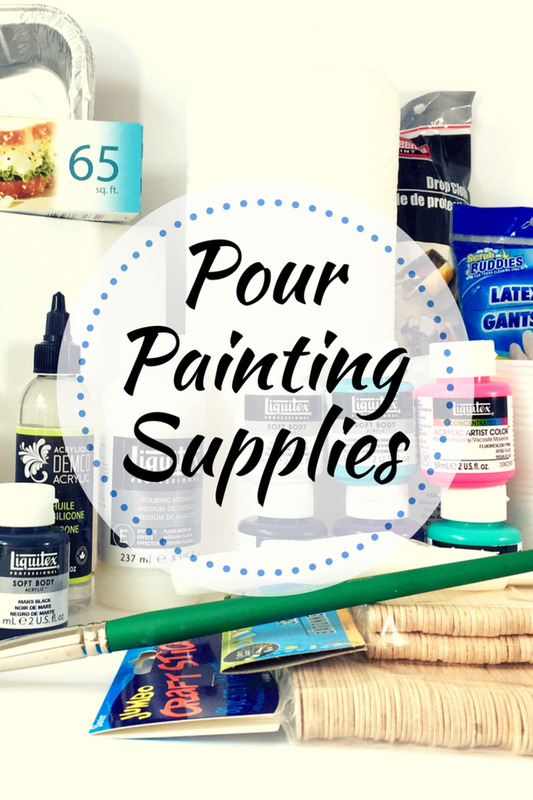 Three great ways to create variety and visual interest in the painting. Depending on the subject matter and on the feel you are trying to achieve, you can use each and all of them. I usually try to create the highest contrast right at the focal point, like the darkest dark near the lightest light. Also I like to have a bright spot at the focal point, when it works. I also learned that to have a lot of bright colors in a painting (which I love), you need to use dull (or boring) colors next to them to help them pop without a fight. One more thing I learned is that all of these contrasts work better when used to unify bigger shapes. For example creating cool/warm contrast between a big cool shadow shape and a warm sunny shape, but with color variety within each mass. Hi John, you are absolutely right! Colors closer to blue are cooler than colors closer to yellow. In the paragraph you indicated I was describing color temperature relativity, referring to the fact that the same color may appears cool when near a warm hue, and may look warm if next to a cool color. In fact, I need to thank you for pointing out that the wording was confusing. I'll edit the sentence to make more clear. Thanks! "When red-violet is near red, then the red-violet is considered cool; however, when red-violet is near blue, then the red-violet is considered warm." - That's the opposite as far as I understand it, the lean to the blue side should be cooler, for example as the distance to yellow is actually longer than going to the red side. Great explanations. I did a painting once in watercolor where I used yellow in the sky and the whole painting came forward. It seemed like there was no background, all foreground. Interesting how that happens.